Road safety is important all year long but it is even more critical in the winter months when the weather can create treacherous conditions. We polled our Facebook friends and asked which are the best roads for winter driving. The responses took us literally all over the map. Here are the results. 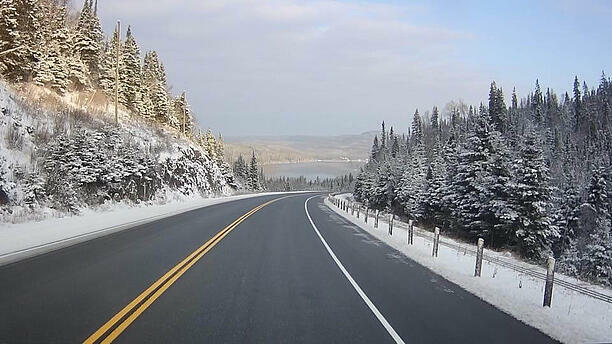 By far, the Trans-Canada Highway (Highway 1) is the favoured road in Canada. The highway winds its way through nearly a total of 12,000 km of countryside (and is the world’s longest highway) and passes through many of Canada’s largest cities. Along the way there are some favourite spots for drivers. 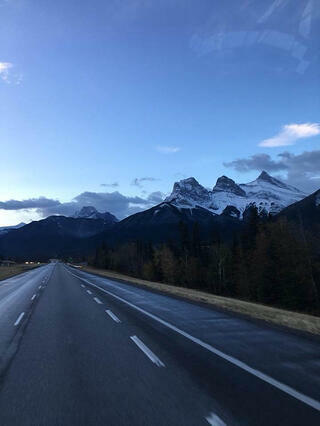 Arguably the most scenic stretch of the Trans-Canada Highway is between Vancouver and Calgary. (How can you pass up the mountain views?) Interestingly, constructing the road through B.C.’s mountainous regions was the most expensive but it sounds like the conditions and upkeep are what drivers appreciate. For a stretch of road to be part of the Trans-Canada Highway it must be 6.7 m wide and have unpaved shoulders spanning 3.3 m on each side. Another interesting tidbit is that hills can’t be greater than six degrees of slope angle and drivers must be able to see at least 183 m of the road ahead. Just like at Bison Transport, safety is a priority on Highway 1. Staying on the Trans-Canada Highway, Kamloops, B.C. to Calgary and Kamloops to Jasper, Alta. were also noted as enjoyable stretches of road. The smooth surface is great for driving and highly recommended by the people we polled. The stretch of Highway 1 between Saskatoon and Winnipeg is an ideal drive, according to our social media friends. And eastward from Winnipeg to Kenora, Ont. offers great road conditions as you head through cottage country in Manitoba. We did hear about other roads in the area. Highway 17 from the Manitoba border to Sault St. Marie, Ont. had an overwhelming response from our audience. Many people said this is an incredible road to drive. It is thanks to the landscape and scenery but also road surface that puts drivers at ease behind the wheel. Heading deeper into Ontario, we heard that Ontario Highway 11, namely from North Bay to Long Lake, offers ideal driving conditions. Highway 11, as it’s known, stretches over 1,700 km and is the second longest highway in Ontario. Elsewhere, Highway 2 from Calgary to Edmonton got a few shoutouts from respondents. We were told the three-and-a-half- to four-hour drive is generally enjoyed by drivers. Heading north, Alaska Highway from Fort Nelson, B.C. to Whitehorse got some love from drivers. The entire highway spans across northern British Columbia, up to Yukon and, naturally, through Alaska. There are other U.S. roads that made the list of favourites. Let’s leave Alaska and head south of the border for the interstates you appreciate. Interstate 10 (I-10) was praised for its driving conditions. The nearly 4,000 km stretch of road spans from California to Florida. Nearly one-third of its length (1,147 km) runs through Texas and that’s where drivers said the road conditions are ideal for navigating. We also heard that southbound from Phoenix is great with its picturesque views. As always, it is important to focus on the drive no matter how great the scenery around you. It’s easy to get distracted when you are immersed in nature’s beauty but please keep your eyes on the road. 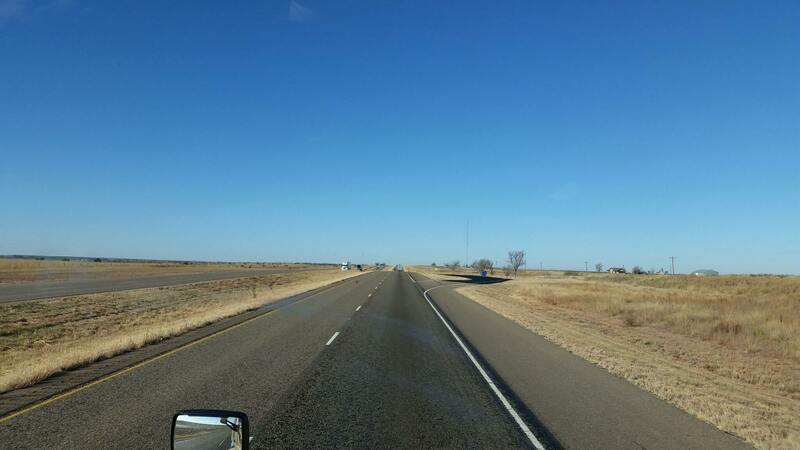 Elsewhere in the southern U.S., Highway 83 from Aspermont, Texas to the small town of Guthrie, Texas offers a pleasant drive. Over in Georgia, the I-94 heading to Florida was lauded as giving a great driver experience. Did we miss your favourite road for winter driving? We’d love to hear which ones you love and why – and pictures if you have them. Glug, Glug and You're Done!